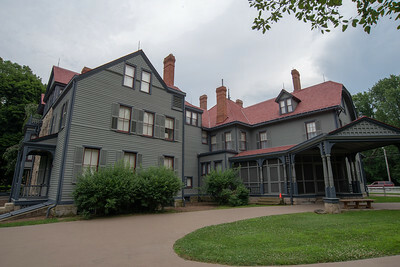 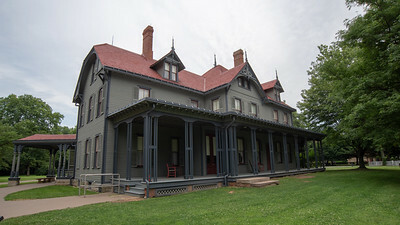 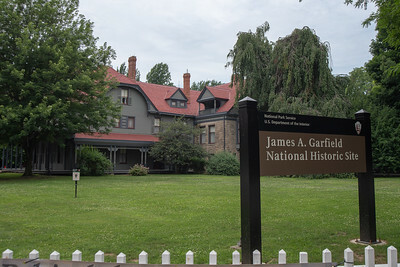 Home of 20th US President, James A. Garfield, purchased in 1876 in Mentor, OH. 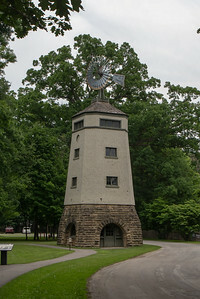 Windmill used to pump water from a holding tank in the windmill to a holding tank within the house. 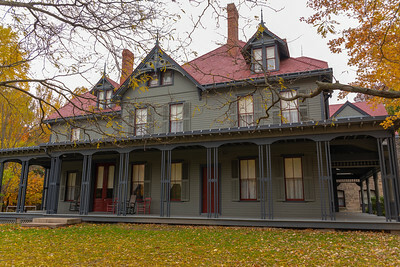 President Garfield campaigned for US President in 1880 from his front porch before as many as 15,000 people, sometimes up to two hours. 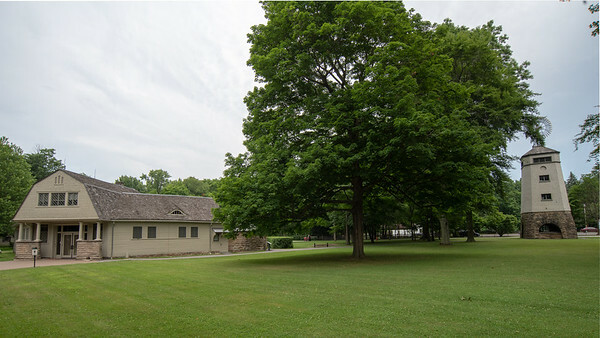 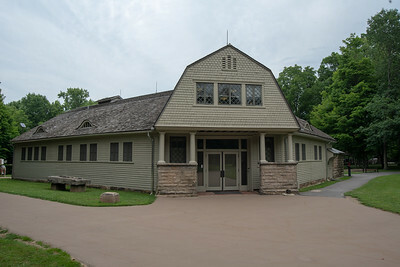 The carriage house and windmill at the James A Garfield National Historic Site. 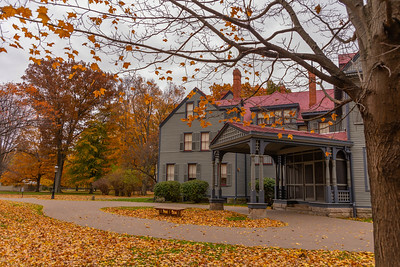 James A. Garfield house and grounds in its fall foliage. 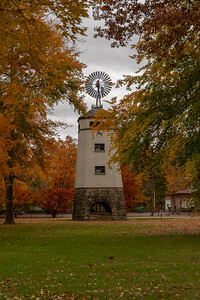 The windmill at the James A. Garfield, National Historic Site surrounded by the fall foliage. 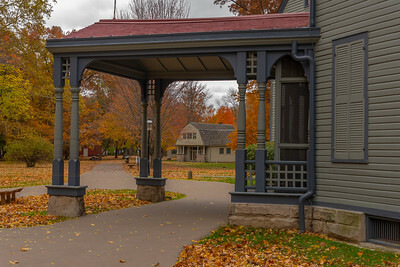 The carriage house peering through the portico of the James A. Garfield house amongst the fall foliage. 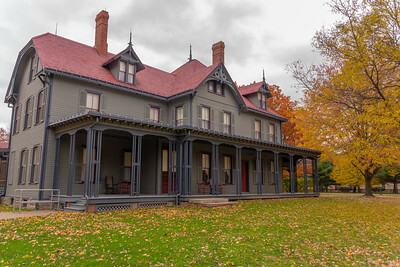 The Lawnfield portico in autumn color. 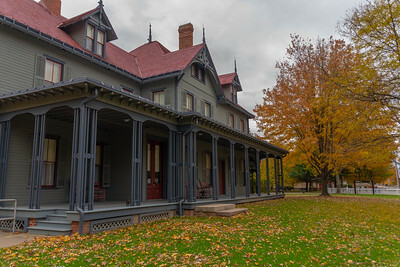 The Lawnfield porch amid the fall foliage. 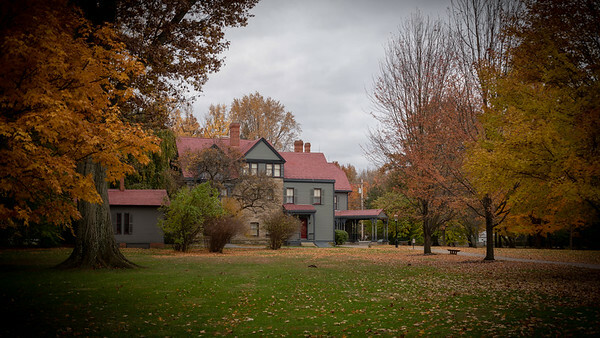 Lawnfield with trees in full fall foliage.